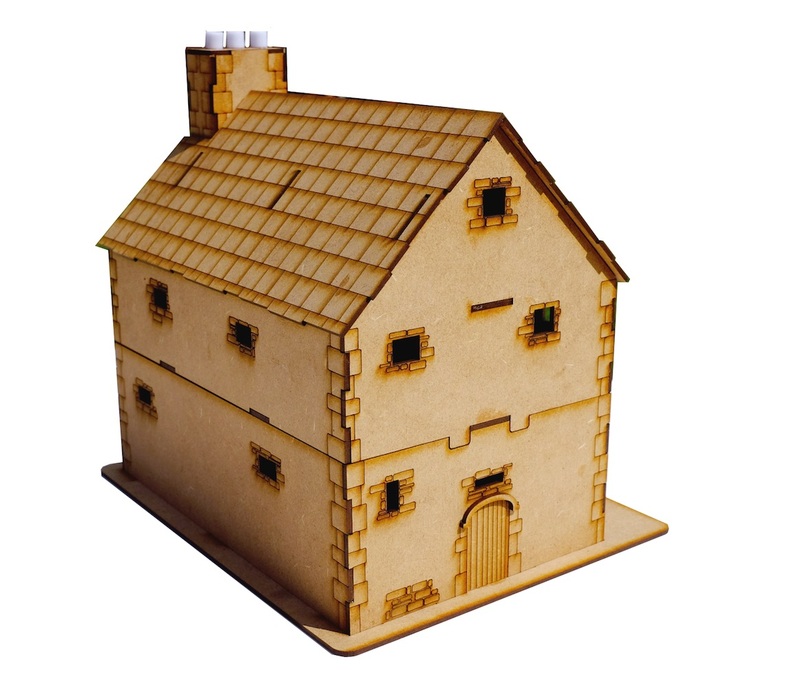 The Timeline Miniatures Bastle House is the ideal kit for 15c. to 17c. border skirmish gameplay. 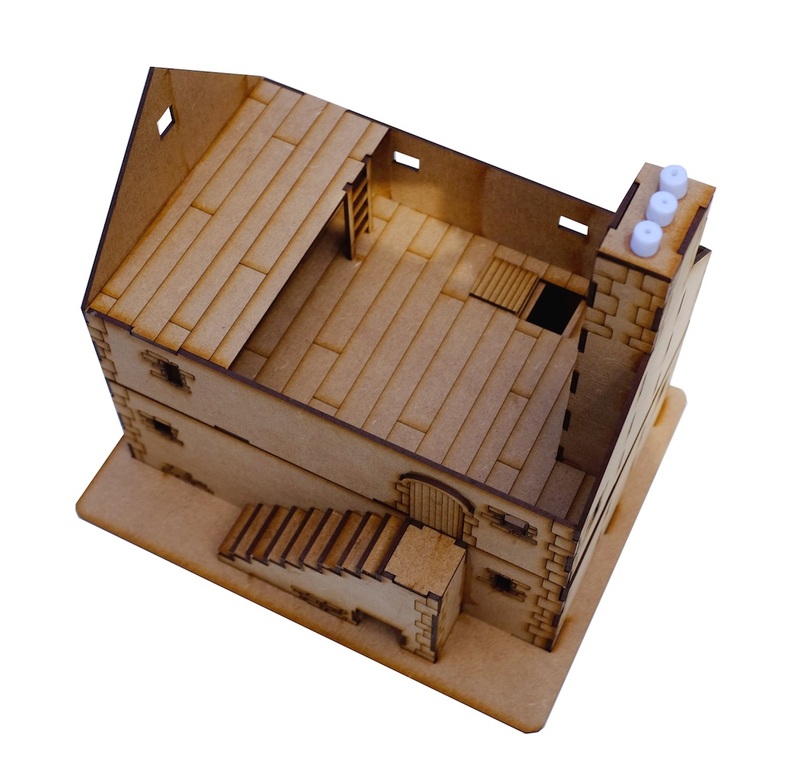 The kit represents a two story Bastle House with smaller upper attic floor. 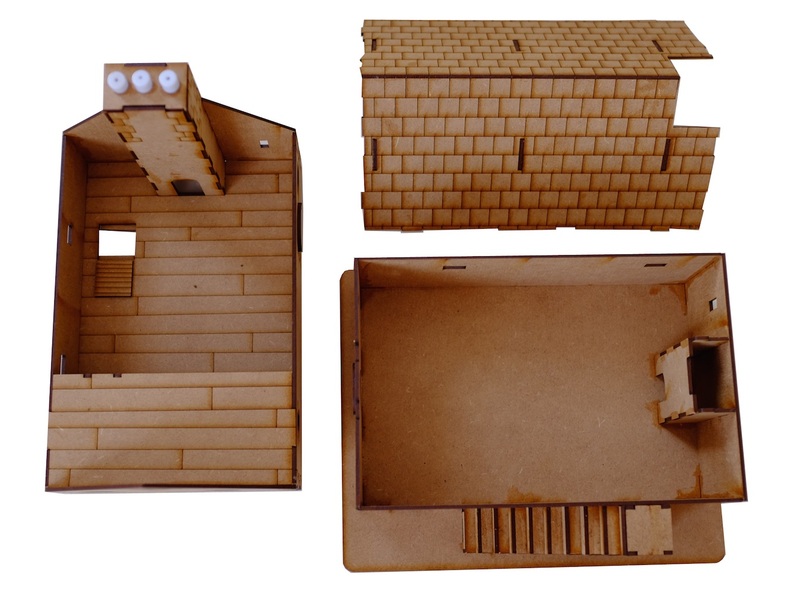 The kit has the traditional access steps with a built in kennel. The house has small windows with etched stonework around them as well os etched corner stones. There is a 'quenching' hole above the Byre door and some ornament over the two access doors. There is a chimney with chimney pots running through all floors with openings for fireplaces in the byre and on the accommodation level. There is a small hatch door with ladder from the byre up to the accommodation level plus a ladder up to the small attic floor. The kit wil need assembling and painting. Check out our Hoka Hey's 28mm figures of border reivers!